Are you looking to spice up your outdoor spaces? 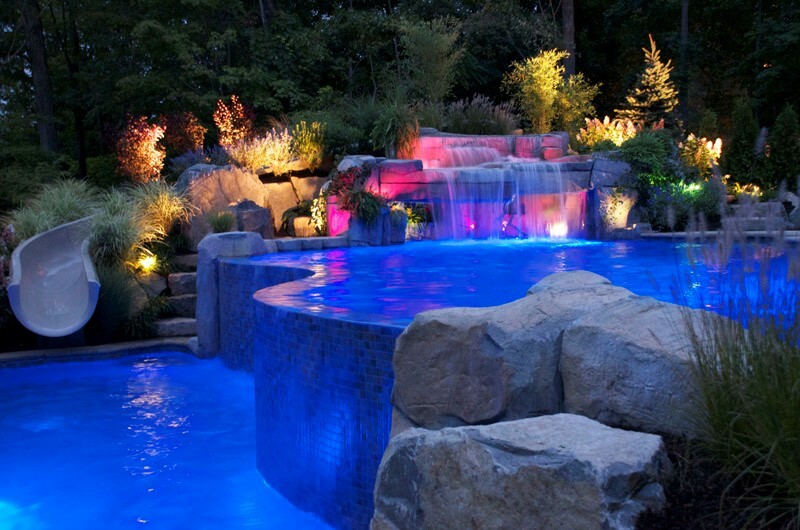 With the warmer spring weather in Dallas, it could be the right time to add dramatic outdoor lighting to your pool, patio, and landscape. According to a recent survey by the home design website Houzz, 45% of landscape design projects incorporate some outdoor lighting components. Why? Outdoor lighting can extend your outdoor entertainment well into the warm Texas spring and summer evenings, and set just the right tone and mood for you and your guests. Interested in hearing more? Let’s explore how outdoor lighting and lighting control can make your outside time more fun in the seasonal months ahead.